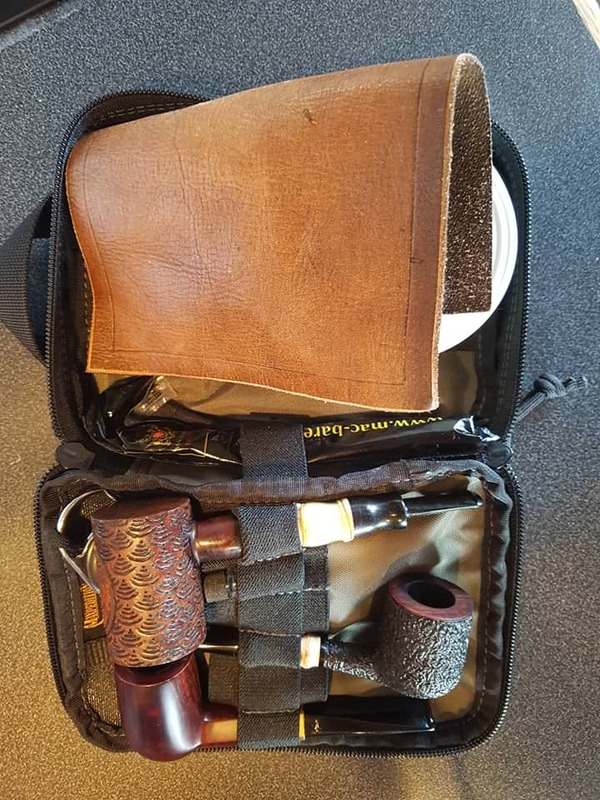 Carrying your pipe...And everything else. 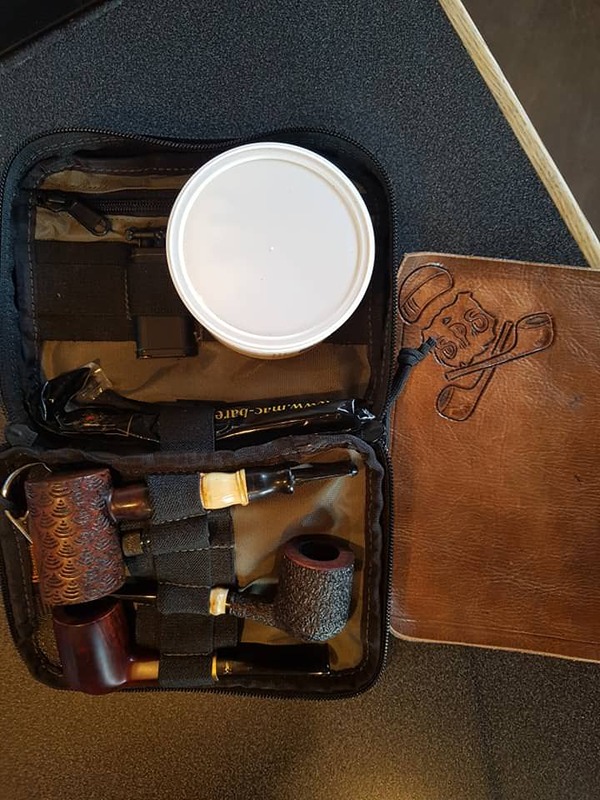 Thread: Carrying your pipe...And everything else. Yeah, I am interested in getting a nice pouch but I seem to just kinda stuff the pipe in the little pouch it came in, and then the tobacco in a ziploc bag for travel. That'll work too! 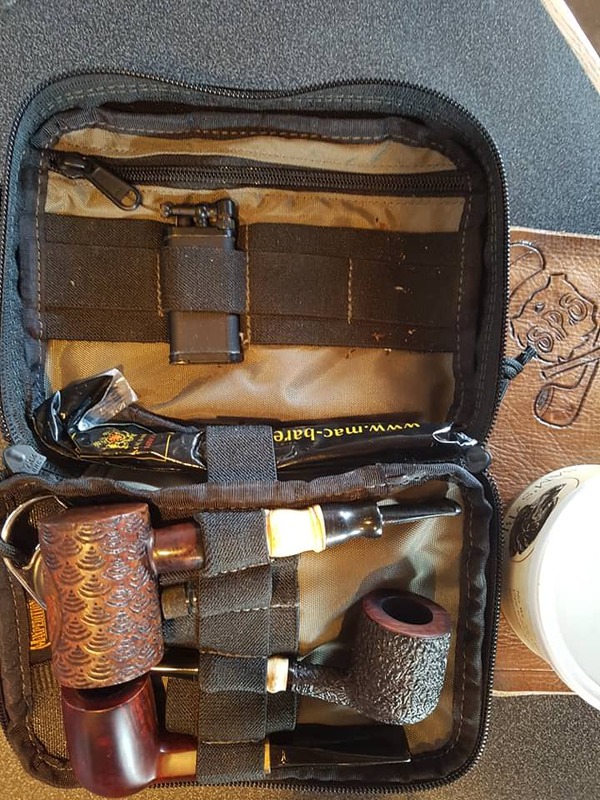 The convenience of a nice pouch is that you can keep your pipes, tobacco, cleaners, lighter, matches, tool, etc. all in one place. Less chance of something getting lost. Then again, I suppose there's more chance of everything getting last at once. I like the setup of the Rossi cases, why is it the best bet though? Im guessing because it is a hardcase with space to organize? I also dont like the colors. I say it's the best bet based on price. Those Rossie pouches give you everything you need for 20 bucks. Pipe pouches can get pricey pretty quickly. However, if stylin' is your thing, then you might think about investing in a nice handmade pouch. Here are couple of places worth checking out for that sort of thing. Aye Mr Ty, I carries a GBD rollup I bought back in the 80's. It carries a pouch o baccy, two straight or one bent pipes, 'as a slot fer a couple o pipe cleaners, and will hold a match box n tool comfortable. If I needs to carry moar I put it all in a noname zip bag that 'as been repurposed fer the pipe. I think I might pick one up for long haul travel. Like the idea of a portable leather mat. Perfect, for us flake smokers 'on the go'. I stitched up this roll up from some thin upolstry leather from Amazon. Has two levels of pockets, taller and shorter. There are taller pockets for 2 pipes, cleaners, and tobacco. Smaller pockets hold lighter, matches, and tamper. The fold over on the top is a nice platform for loading. Last edited by StreamAngler; 10-15-2018 at 02:24. I could do with one of these.